My new adventure is about birds, as always they relate to my childhood and memories as well as a reminder of my father, who was an enthusiastic bird watcher and kept a beautiful aviary. The images that I associate with the birds are...bird-baths and banksia roses...there was a massive bush over the aviary at home. 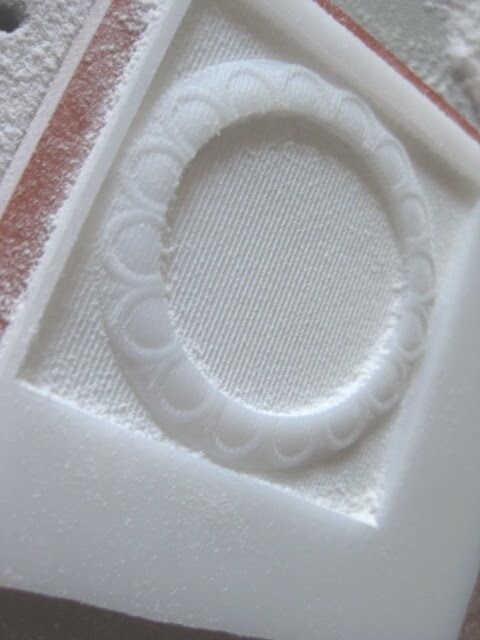 This range started by modeling birds in bee's wax and then casting them...I did something similar for artisan a while ago but as always things move on. 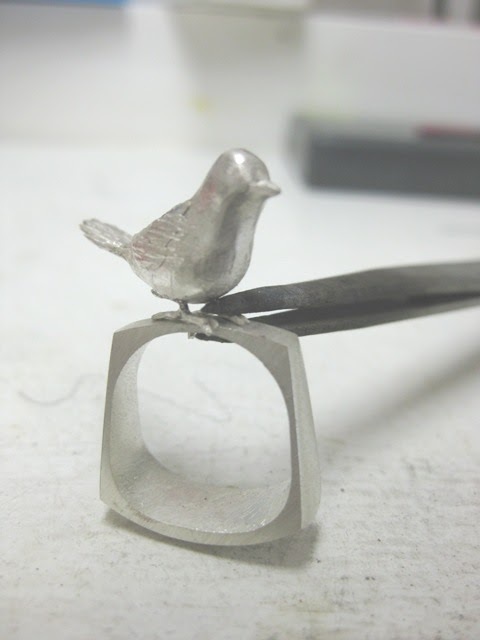 I'm using my new shape ring as a base for the birds to perch on and am trying to model the birds in quite a lot of detail...The first ring was quiet simple three little birds sitting on the ring...I sort of remember a rhyme about dickie birds sitting in a tree...there are also three children in my family and I think three is a great number. 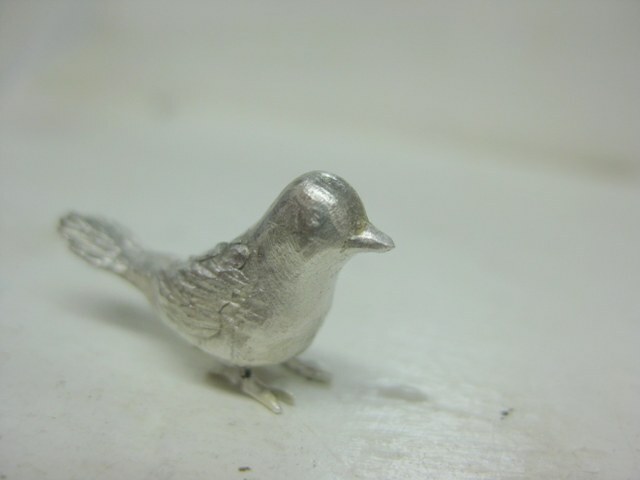 The next ring is my little bird sculpture where i wanted to try be a bit more realistic, so I decided to add feet,it was quite fun filing these up a challenge to say the lest.Soldering it to the ring was another story all together, I had to add a pin that comes up through the shank in to the birds body. I'm pleased with the end result and the bird is much sturdier with the pin. Next challenge the bird bath...not to sure if its a ring or a brooch but I have designed the outer rim on Rhino and am doing my first cut on the JWX-10... this takes ages but the results should be worth the wait.